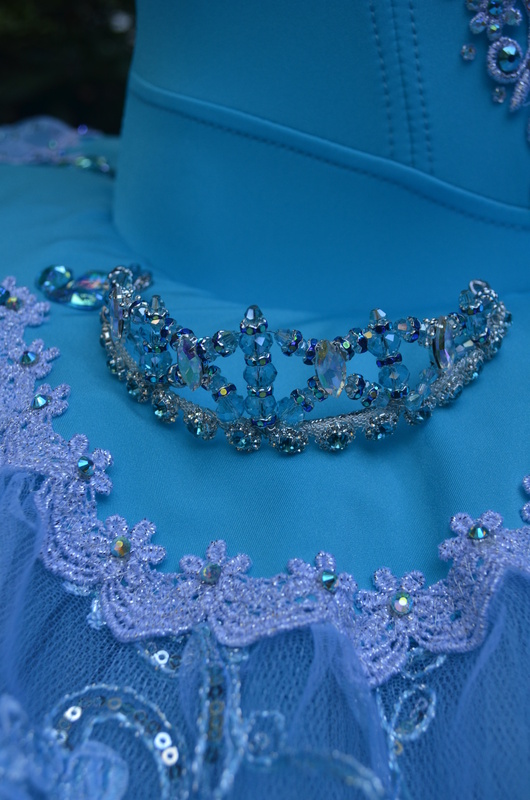 Here is a pretty little tutu in a soft delicate blue for a young dancer with just a few blue roses for a very soft romantic look. The plate was just little bit fancy with a second tier and a few more roses and some tiny blue dianthus flowers. 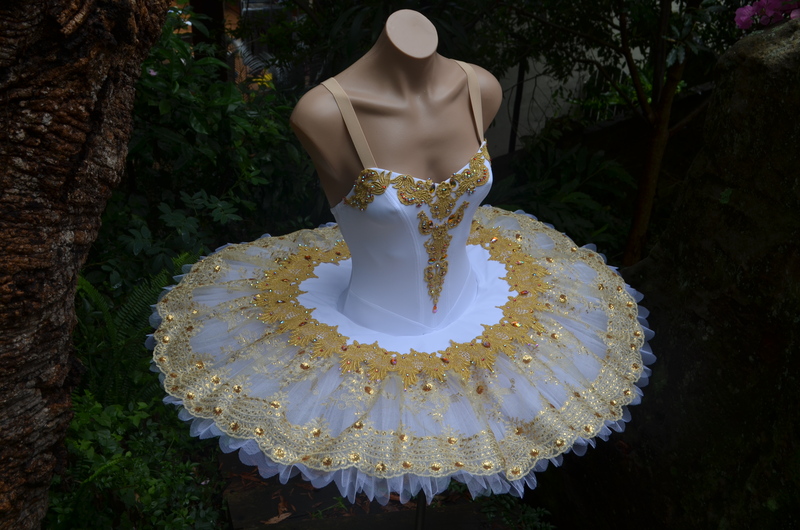 The net petals were made of slightly darker net than the skirt to give them just a little bit of definition. The AB crystals flashed a little pink for some colour depth. 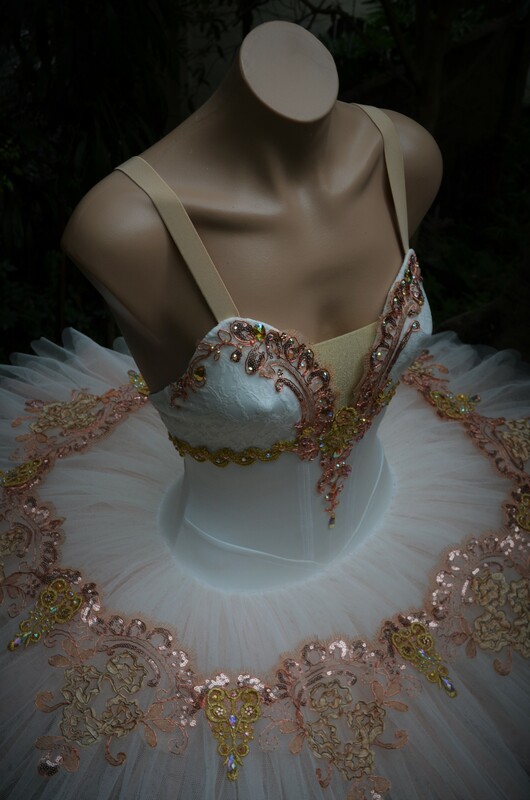 The tutu was made for a young girl with a lovely warm complexion and the pale colours looked so good on her. I also loved the tiny patches of sage green from the leaves on the ribbon flowers. 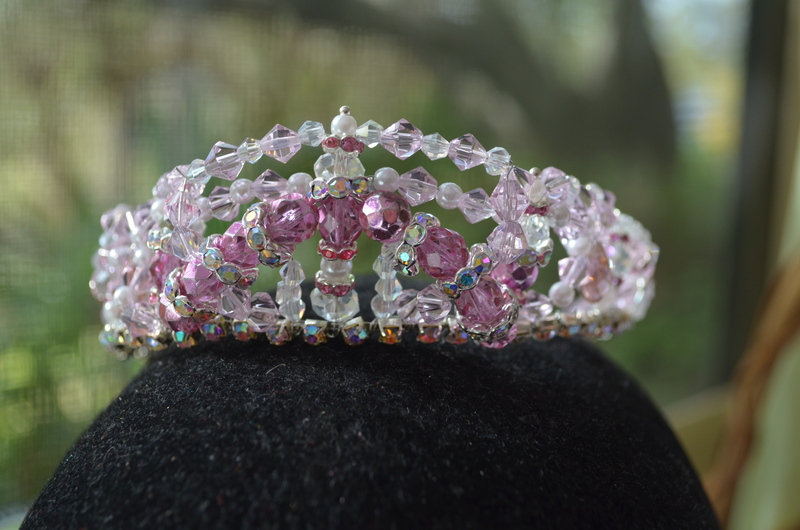 And I made a sweet little tiara to match, with rhinestones and flowers. 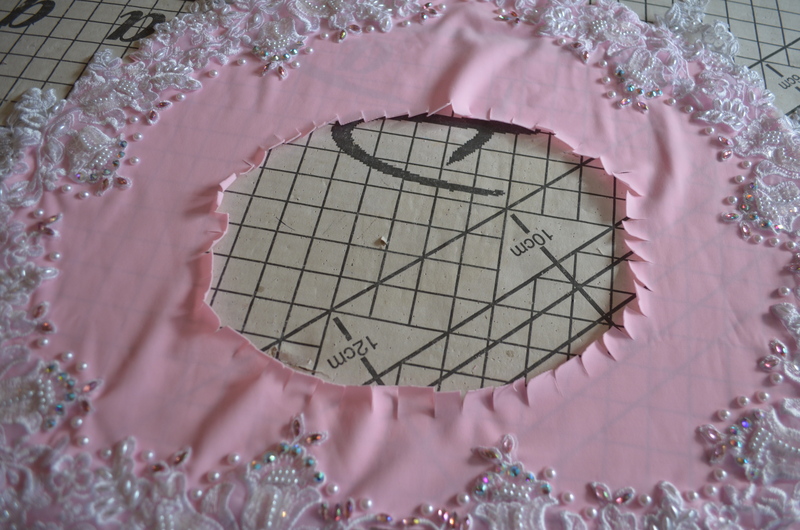 I’ve added crinoline to the frame of the tiara to make it easier to pin to the hair. 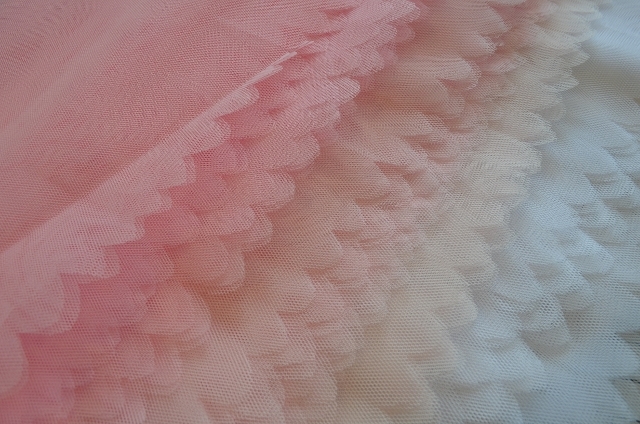 Pink and white are traditional colours for a young girl’s first tutu. 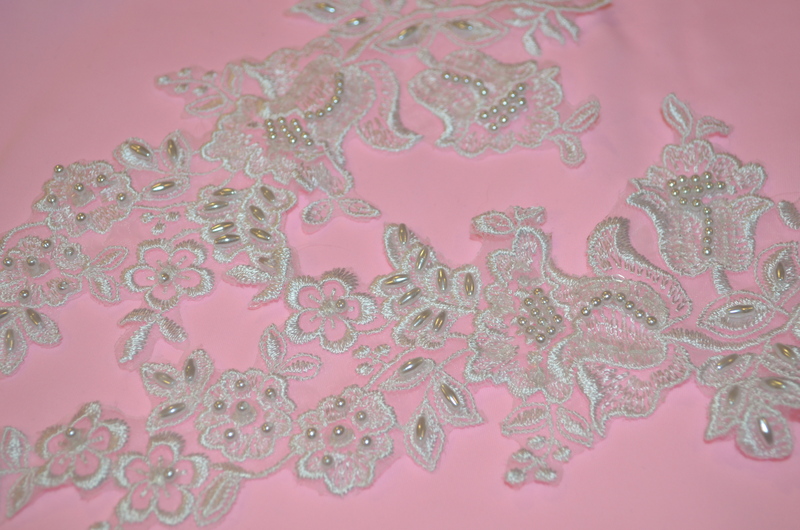 This one is teamed with pearls and a sprinkling of rhinestones for some subtle sparkle. 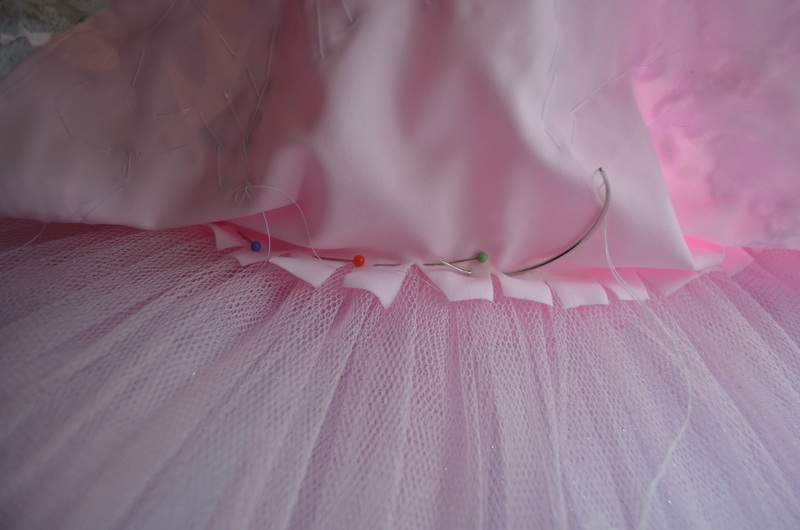 Here’s the starting point for the tutu. 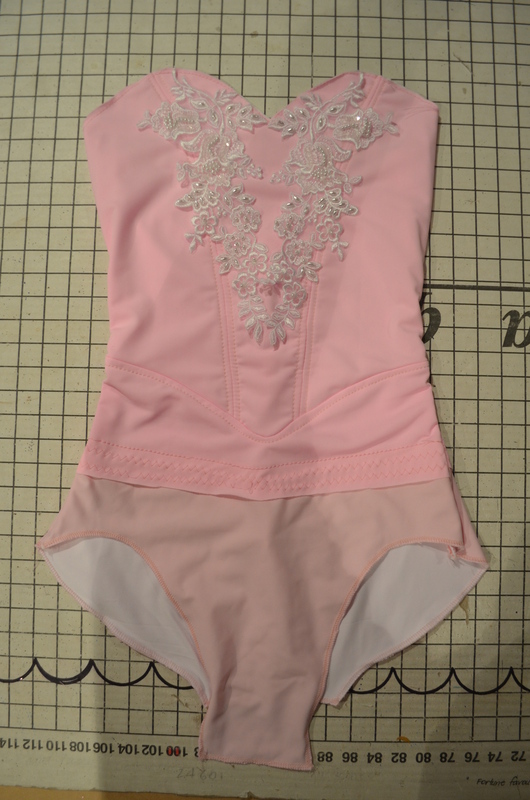 The skirt is a slightly paler pink than the bodice so I made lower part of the leotard in pastel pink. 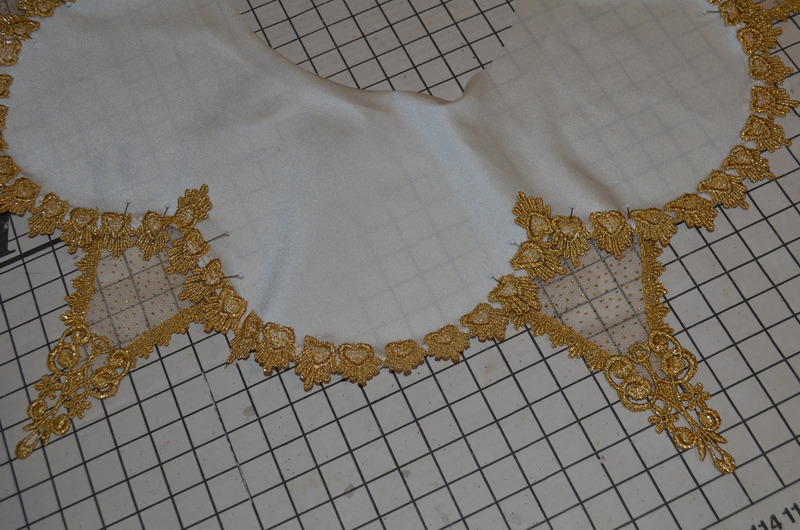 I’ve placed the appliques on the bodice to get an idea of final placement. 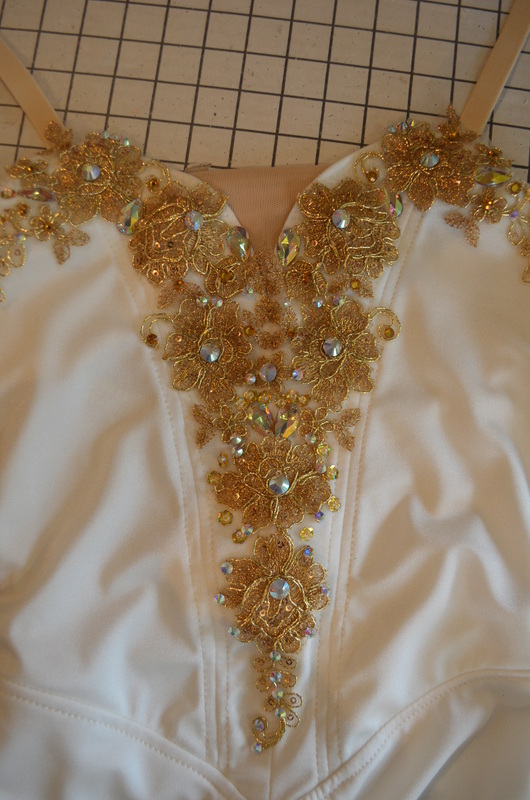 I glued rhinestones to the appliques. 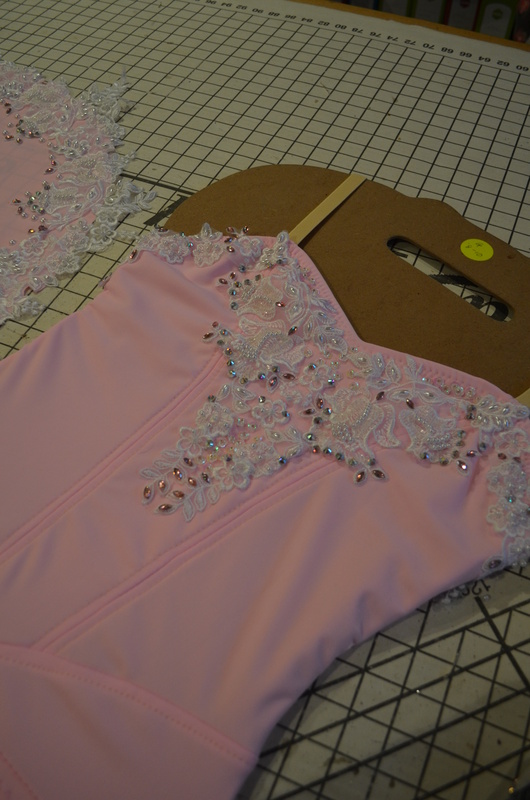 While the glue dried I finished the bodice and attached the elastic straps. This allowed me to stretch the leotard over the body board. 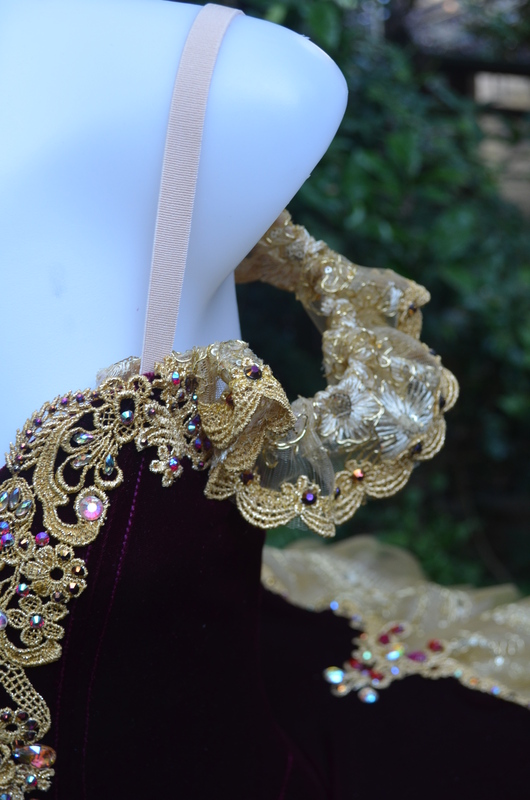 The bodice was decorated after the leotard was finished. I added more half pearls to the plate. 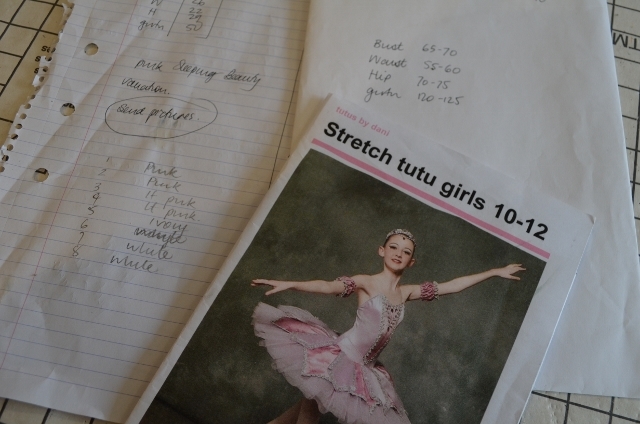 The inner circumference was clipped to allow a tidy fit around the high hip. 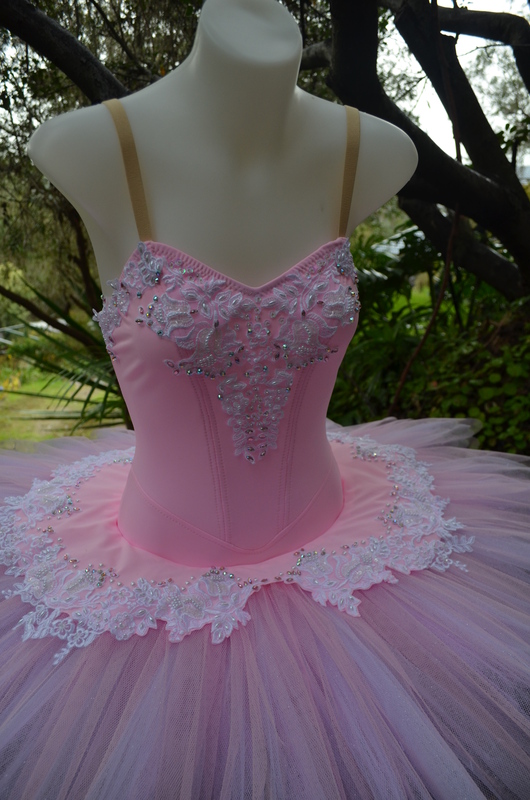 I sewed the plate to the very top of the skirt as close as possible to the bodice. The curved needle made the job less fiddly. 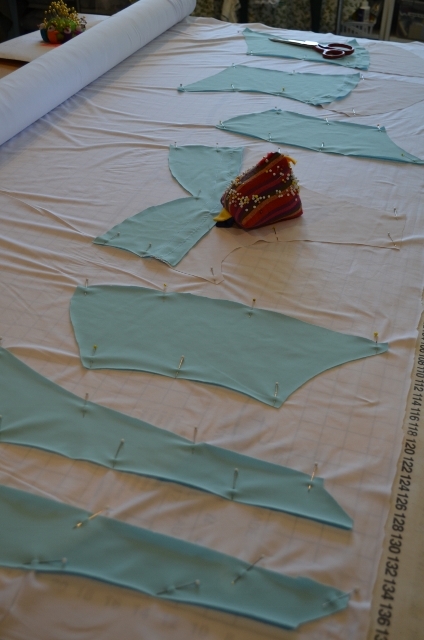 The very edge of the plate was also loosely sewn to the skirt as well. 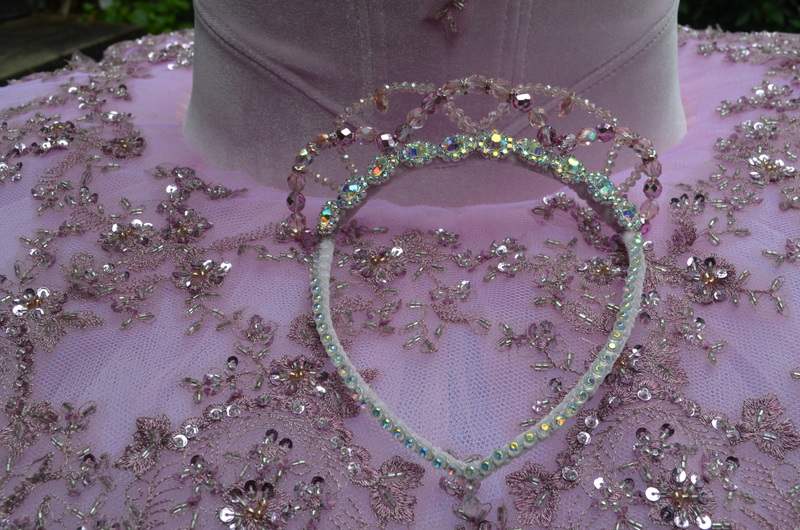 I also made a beaded tiara to match.